Come join the MCC NJ STARS League for their first ever Open Mic night! 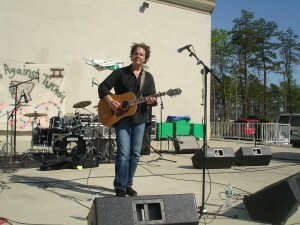 Come join the MCC NJ STARS League for our first ever Open Mic night on November 21st, 2009! We are looking for performers of all kinds to strut their stuff and show the world their talents! Slam poets, comedians, actors, and singers are all welcome to perform on our stage. **We are also looking for acoustic musicians!! Let us know if this is your thing. MUSICIANS – YOU CAN PROMOTE YOUR BAND AND SELL YOUR MERCH! BRING FRIENDS, BRING LOVE, AND BRING YOUR TALENT! It was a great show, with tons of talented performers. Signups started at 7:30 like the website said, and by 7:45 the list was full. Everyone was amazingly talented and everyone had a great time. It’s no wonder the won the best open mic in NJ award by NJMonthly. Comment if you went, talk about the event if you’ve been there or in Barrington! 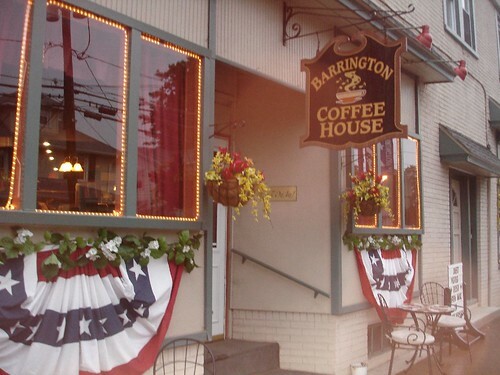 On Thursdays in Barrington, NJ, you can visit the Barrington Coffee House for their “Wide Open Mic”. The night begins at 8pm, but signups start at 7:30. The place is packed, so make sure to get there and sign up EARLY. The Barrington Coffee House is on 131 Clements Bridge Rd, Barrington, NJ 08007. The (intermediate) post– a link to a YouTube video of all of the pictures from the event (made by JerseyMic.com). Unfortunately, Google cut out the song I had in the background. How does everyone else get away with it? It’s been a long series. The longest yet on JerseyMic. Here is the final post for Tunes Against Turmoil II. We left off with Ocean the Legend. So you’ve been waiting for this one.